These verses give instruction to the Church to honour widows by ensuring their needs are cared for. Although it is not always the case in our current context, widows—particularly elderly ones—often have great need economically, physically, and socially. This was validated recently as the local community food bank director in my southern Ontario affluent town informed our church that the highest numbers of clientele are widowed seniors who live on a fixed income. It made me wonder in how many other communities this is a reality and what are our church families doing about it. This passage urges church communities to intentionally monitor the needs of widows in their midst and respond accordingly. At the same time, there is a separate challenge for Christian families to care for their widows (and yes, let’s include widowers) so the full responsibility doesn’t rest on the larger church family (see 1 Timothy 5:8,16). for our parents is a crucial expression of our faith that pleases God? The principle is to ensure that our own aging parents are loved and cared for with honour and dignity. As church families, we must ensure that seniors’ needs in our community are being met, not just physically, but socially and relationally as well. 1. Are you aware of a senior who may not have family close by whom you could visit and encourage with practical blessings? 2. 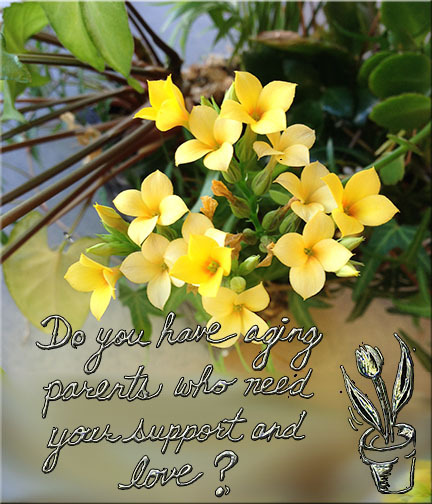 Do you have aging parents who need your support and love? Joanne Beach serves the C&MA in Canada as the Director of Alliance Justice and Compassion.